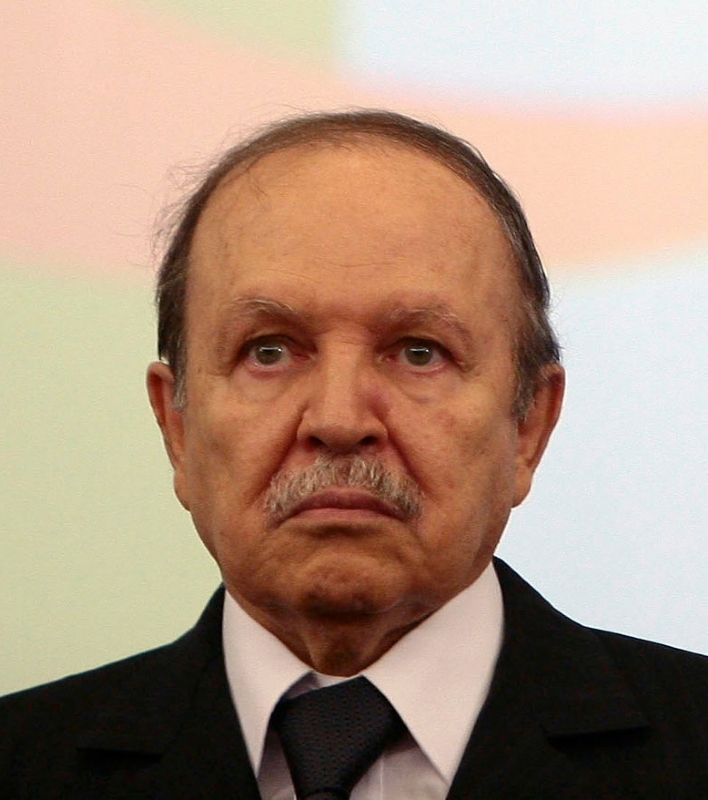 Abdelaziz Bouteflika (born in Oujda, Morocco) is a famous Statesman from Algeria, he is 82 years old and still alive, born March 2, 1937. Abdelaziz Bouteflika is the tenth president of Algeria and was inaugurated in 1999. Bouteflika lived and studied in Algeria before he joined the Front de Libération Nationale (FLN) in 1956 at the age of 19 years. In the FLN, he began as a controller and reported on conditions at the border between Morocco and Algeria in the west. But later he became administrative secretary to the then president Houari Boumedienne. After Algerian independence from France in 1962, Bouteflika, the vice chairman of Tlemcen in the Constituent Assembly and that he was Minister of Youth and Sports in the government led by Ahmed Ben Bella. The following year he was appointed foreign minister and he held this position until President Houari Boumedienne died in December 1978. Bouteflika announced in 1999 that he would be president and he posed as an independent candidate who was supported by the military forces. According to the official counters, he was elected by at least 74% of the vote. All the other presidential candidates withdrew from the election immediately prior to the vote and expressed concerns about election fraud and that the election was not fair. Bouteflika subsequently organized a referendum regarding his policies in order to restore peace and security and to test his support among his countrymen for something controversial election. This time he won by about 81% of the vote, but this figure was disputed among his opponents. The 8 april 2004 he was re-elected as President of the unexpected high 85% of the votes in an election that was approved by the observers from the OSCE as a free and fair elections, despite some minor irregularities. This was disputed by his biggest rival and former chief of staff Ali Benflis. Several of his opponents claimed afterwards that the election was fair and showed an extensive state control over broadcast media. Bouteflika was admitted to a hospital in France on 26 november 2005, when he allegedly suffered a hemorrhage from an ulcer and he was discharged from hospital three weeks later. But the long time Bouteflika remained in isolation afterwards led to several rumors that he had become critically ill because of stomach cancer. He checked into the hospital again in April 2006. He was appointed a new as prime minister in 2006. Belkhadem then announced plans to change the Algerian Constitution that the President had the opportunity to serve as president indefinitely and also have greater power. He is born under the zodiac pisces, who is known for Fluctuation, Depth, Imagination, Reactive, Indecisive. Our collection contains 5 quotes who is written / told by Abdelaziz. "I have reaffirmed my political will to work towards national unity"
"A nation must be embraced, rehabilitated and expressed as a tangible sign of human creativity and as an integral element of mankind's heritage"
"A dialogue among civilizations can be seen as a dialogue between the individual and the universal"
"Yet, history has shown that if material force can defeat some ideologies it can no longer obliterate a civilization without destabilizing the whole planet"